Charles Taylor is Big Chief of the White Cloud Hunters, a Mardi Gras Indian tribe in New Orleans. I’ve had the great honor to meet him in April 2016. He’ll be out on Mardi Gras Day, wearing his new costume. 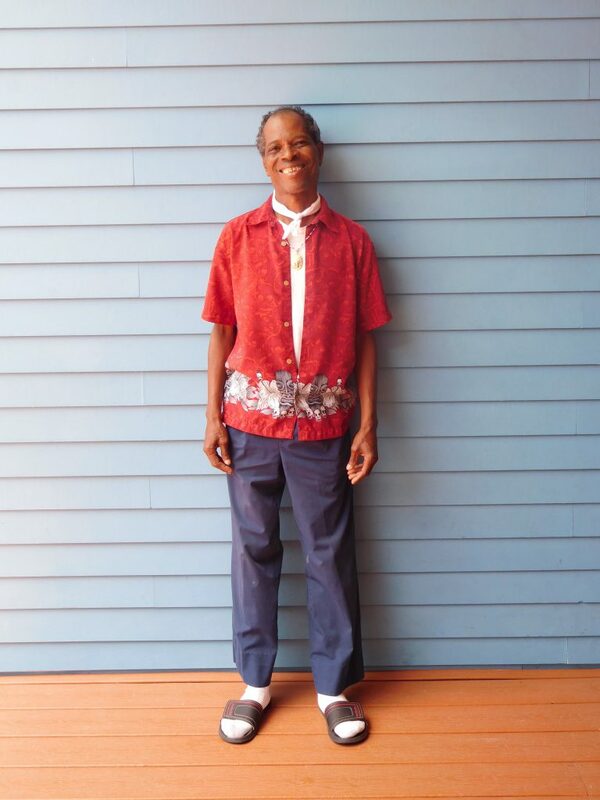 Charles Taylor is 62 years old and lives in the Musicians‘ Village. He talks about the Mardi Gras Indian culture as it is today and how it used to be when he started masking Indian. He also tells what he’s been through since Hurricane Katrina and discusses the current daily struggles of living in New Orleans. The interview is only slightly edited, the written form is equivalent to the spoken language. You can also hear Charles Taylor and the White Cloud Hunters, recorded in the 1980s by Michael P. Smith. I would like to thank the Ellis Marsalis Center for Music for making the interview possible, especially Michele Jean-Pierre and Jasmine Ratliff. I would also like to thank Daniel Hammer for his tremendous support while I was doing my research at the Historic New Orleans Collection and for the generous permit to present some audible treasures of the Michael P. Smith Collection. This would not have been possible without the great and patient help by Rebecca Smith and Jennifer Navarre – thank you so much. And last but not least, many thanks to Darryl Hentley – none of this could have been realized without his transcription. I loved the many illuminating hours of conversation about the different aspects of this interview. Franziska: Charles Taylor, would you please introduce yourself. Charles Taylor: My name is Charles Taylor. 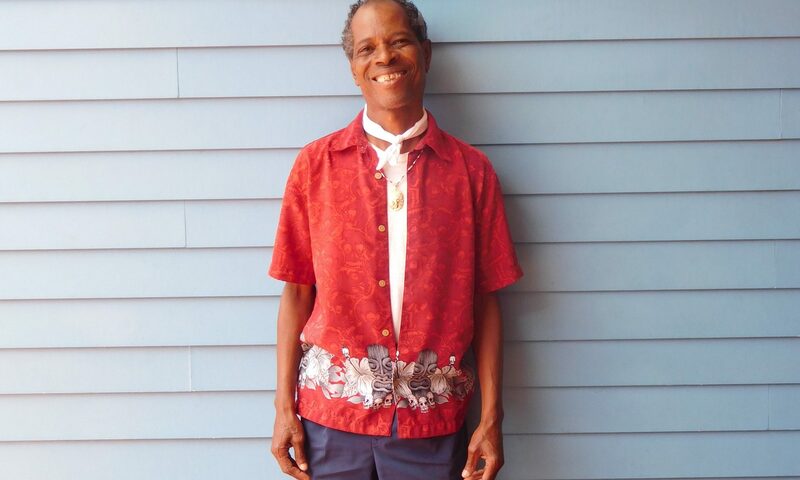 I am Chief of the Mardi Gras Indians in the city of New Orleans, Chief of the White Cloud Hunters Indian Tribe, and what I do, is that, I sew for Carnival making Indian costumes and it’s a culture everybody have a part to play. Are you working on a suit right now? Yes I am. I been working on it since two days after Carnival and I’ll be workin‘ on it until Carnival pop up on the 28th of February next year, before things come to a close. What is your idea for this suit? Well, this particular outfit… I keep it kind of quiet, because you know, because when you doing it, you sewing against your opponent to see if your talent is much more powerful than his. To outdo him far as designing an outfit, and this is how it’s done. Everything be kept on a quiet side far as color, what the costumes are… and it’s kept quiet. It is like everything is kinda like on the surprise, you know attack. I’ve been told before that you wouldn’t say costume instead of suit. Yeah. We call them costumes. Sometimes they call them suits, but really it’s an Indian costume. Yeah it’s made out of beads, rhinestones. Back in the days we used to use eggshells with metallic and broken mirrors and stuff like that kind but today it’s expensive (you know) because they sewing to the highest point so it is a lot of money involved. Back in time if you take two or three thousand you can build you an outfit but today two or three hundred dollar ain’t gonna build you no outfit. A lot of times when I buy for myself I buy away from home. I order from New York, Florida, California, South Africa. It’s a lot of places you can buy this stuff but you have to know how to buy it and how to go about gettin‘ it in those places and that’s how I do to get my stuff because everybody where you go to buy supplies is different prices so you not go at the highest point. But if you get a number, you can get everything wholesale it be a much cheaper price, but if you just buying straight up off of you you got to face the cost of the price (you know). Since how long have you been Big Chief? I been Chief 32 years. I been maskin‘ Indian here since 1956. I was out there maskin‘ when Indians was very vicious. It was terrible. People would take and instead of going to see, they would lock they doors and windows. They wouldn’t come around the Indian cause the Indian was very dangerous. You know like when you maskin’ the Indian you don’t have a friend. If I’m maskin’ against you, I know you. We friends throughout the years, we stand up talk, go out whatever, but when it come to that time, everything fall apart between the two of us. ‘Cause when you maskin’ with one tribe and I’m with another, if something go down you going down with that tribe; You ain’t gonna think about me being no friend. And this is how it work. But today it’s just, who outdress who. Today it’s just a thing where I’ll see if I can outdress you or you see if you can outdress me far as talent go. And what it does, everybody got a part to play. You got a Spy Boy, he looking for the next Indian tribe, you got a Flag Boy, with the name from that tribe on that flag. You got a Wildman that keeps that crowd open, you have a queen you know, you have a trail chief, a man to watch yo‘ back and then you have a crowd, an outside crowd, they backgroundin‘ all the songs that you sing with the lyrics (you know). Yeah it’s a beautiful culture. How did you become a Chief? Well, in my family in real life my grandma and them, was real Indian. They were Cherokee Indians and my mother couldn’t stand it and my grandmother didn’t like it either. She say, Y’all goin‘ kill somebody or somebody goin’kill y’all. But being young, I was all off in it and I just took to it. My mama’s brother was Chief of the Yellow Jackets and that’s how I do to get in it, being a little kid at his house pickin’ beads up off the floor and stuff and he put me in it and I been in it ever since. My uncle he the one who got me in it and today my chief is 83 years old and still sit there and sewing costumes you know, and he be lookin’ at me sayin’, ,You gonna stick with it’. Yeah I’m going to stick with it and I’m 61 years old and I’m about to make 62 in June (Lord say the same), so I got my sons and my grandson in it and my grandson, the phone ring every day… (Popo) you working on my suit? ) and I say, Yeah Popo working on your suit (yeah). So it’s a beautiful culture and once you do it one time you stuck. You know, when the spirit come toward you and hook you,… you goin’’ do it. Then you have to be sure that your companion is down with you cause if they not, eventually that relationship gonna fall apart. Cause that costume take a lot of time so that mean I’m not givin’ you as much time as I would give you if I wasn’t doin‘ it and it will bring on you have to have natural understanding between the two. How many members does your tribe have? It doesn’t matter, it take a variety. Back in the time when I was maskin‘, we had 40, 50 Indians to a tribe. But today everybody wanna be boss hog so it’s scattered, you know you might have 6 Indians here. You might have 5 Indians here, you might have 3 Indians here cause everybody wanna be that top dog, you know, but everybody can’t. It’s a way to be chief and it’s way to learn how to play the game. You suppose to play this game on signals and stuff like that, you supposed to know how to talk that talk far as chattin‘ to one another as far as Indian go and it’s not like that you know you catch some of them guys talkin‘ to you in them costumes. And they talkin‘ about your mama. They talking, they callin’ ya out your name and it don’t go like that. It’s based upon you know you talk that talk to see if you can out talk me cause it bring on a weakness ya know and if I can catch you at a weak point where I can catch you off guard, I can take your crown off your head go on up the street and your day through and your job… you can go on home. You know, but they don’t, it ain’t like that. Where is the base for your tribe? Do you have a place where you meet? At my home. Where ever chief stay at that got the tribe, that’s where they go. When they first leave home, that particular morning you go to his house. You don’t come to my house or to no other chief house. If you come to my house, you wrong as two left shoes. Anything could happen to you cause you out of order. And it’s at a point to where your life is at stake cause, you know, this person don’t mask with you. He a Indian or she a Indian and she at your door and she a Yellow Pocohontas and you’re a White Cloud Hunter. What she doin‘ at your door. So something could be up. Therefore you know you know it’s a way to play this game. We practice in the lounge in the bar room. Like when I practice, I’ll practice up in Tremé, around Saint Philipe and Robertson. You got Indian tribes that practice in the 7th Ward, in the 9th Ward down here across the road, it be various all cross the river, you practice in your area. It’s a lot of excitement and it’s fun. You have people playin‘ bass drums, you have em playin‘ cowbells, they playin‘ tambourines and everybody backgrounding the singer. If you singin‘ Shallow Waters, when you make that version line the background, the people will say Shallow Water O Mama, Yeah. Hear Big Chief Charles Taylor and the White Cloud Hunters, singing Shallow Water Oh Mama, November 30, 1986. And every song have a meaning to it (you know), like I see a lot of Indians maskin‘ today and I ask em what is shallow water? What it mean? And they probably tell you their little version of it. They wouldn’t be able to tell the exact meaning of it. It means wishes. On the real point, it’s wishes. Just like they have a tribe called Comanche Hunters. If I would say Comanche Hunters and I, turn around and tell you Cowache and you’ll look at me like ‚ Cowache‘, he just say Comanche Hunters. But when I say Cowache I’m telling you that, that’s my enemy. He is not, you know. And see playing Indian works from the eyes cause the eyes tell everything. You ain’t got to be an Indian. If you look a person in the eyes it will tell on you and that’s the way it’s done, supposed to be done anyway. Were you born in New Orleans? I was born here in the city of New Orleans – Charity Hospital. Since when have you been living in this area? I been here nine years. I came here in the village when I came back from California after the storm. That’s how I came here. But before I got down her in the village, I was living down there on Spain street in the eighth ward, on Spain and Prieur on the cornder (corner) and then they had the program come up bout these musician’s houses and a friend of mines on the board sent me an application and I filled one out. Then you had to go to classes and stuff to get a house down here. And I got in on that. How were you effected by the storm? Well I stayed home cause I was livin‘ upstairs, right here in the city on Prieur and Spain on the corner. And three days before that storm struck me and my wife had just went and made groceries. And the weather was getting bad, I say, ‘Babe, I say, you better go by your daughter and them in Texas if you want to leave here’. I say cause I’ma stay. Well it didn’t bother me cause I used to work the storms. When I used to work for the board of commissions for the port of New Orleans. Storm season come up we had to work around the clock so it didn’t bother me none. You know, I knew the fundamentals of how I had to move if I had to. So she say ‚Well I’ma stay If you stay, I stay. And I say alright, you stay. And as it got later and when the storm struck, we ain’t have no problems, we had uh the window air conditioners was going in and out like (whew, whew) and I say boy if these air conditioners come off we going be in a world of trouble up here so what I used to do, I used to go and shut off every door to every room. That would eliminate the pressure and we made out alright but the water was all the way up to the top of the porch. It didn’t come over the porch but it was right up under the bottom of the porch. And then you went to California? Well, I wouldn’t have never went nowhere but the national guard forced me out. Everybody had to get out, but I stayed on three days after before they made me get out. Cause I had to get rid of all that food. Cause we still had lights and everything. My wife say what we gonna do bout all this food, and I say Baby we ought to cook up everything we can cook and feed them people that’s walkin‘ out there with them children and stuff. And that’s what we did. And then three days later I had to get out and I went back there by the convention center cause that’s where they had everybody going and I fooled around and caught the bus from back there. And wound up in Texas. Then when I left Texas, I went to California by my sister and I stayed there with her till I was ready to come back to New Orleans. A lot of people couldn’t come back right? Well, yeah, right now still today a lot of people still haven’t come back. They got a lot of new people here in the city. But on my behalf of coming back, New Orleans is my home and it‘s nowhere else like home. So whether it turn good or bad, I was gonna come home. Ya know, and I had, I still had all my furniture stuff still here in the city so I had to come home. And when I got home, first thing on my mind was to go check that house cause I knew people were lootering houses, But everything went well, didn’t nobody break in or nothing and then I wind up, I had to get that furniture out there, when I come home. I come back on Halloween and I stayed in the backroomcourt of the Museum overnight, me and my wife. Then we went back to the house and we call the moving company with this trailer to come and take that furniture out of there and bring it to California. When we come back to New Orleans, back there by the race track on Mystery street I had found a house and we rented that house and we moved there. That’s where we was at and then when I stayed there I stayed there a year. That’s when everything far as my health started going bad. Everything start falling on me at one time. The first thing happened to me, I was trying to go to work. I was living on Mystery street, back of Canal street and at 5 o’clock in the morning I used to leave early in the morning going to catch that bus so I could be to work before 6 o’clock and somebody snuck up behind me and hit me upside the head and knocked me unconscious. Caused me to have a stroke. My whole left side was turned backwards and then after I got over that, I had a heart attack. I fooled around and had a light heart attack. Then once I got passed that, I wound up, we done got in the house, I was up in Paris. I was in Paris, and I blew up, I was a big ol‘ person. Growin‘ up I was always small and my uncle kept saying, boy you gettin‘ fat. I say no unk. Something ain’t right for me to be this big. I can’t even get in my clothes, and I’m all the way on the other side of the nation. And I got to performing and the next 45 minutes, then I’m blowed up. I say something ain’t right. And then all of a sudden everything just went back down to normal. So when I got through with performing, as I got to go to New Orleans, I say I got to go and he say You got one mo‘ day, and I say No!, I got now and when I when I come home to New Orleans I wind up.… the ambulance had to come and get me. I had done swollen up. I was weighing over 300 pounds and I was full of fluid. And all of a sudden pains went to striking me in my side and and when they checked me… I needed, acid was escaping from my liver. And I wind up, I had to have a liver transplant. And then, once I got through all that I went to having problems pretty bad. The people had to come to the house to hook all them machines up on me. I couldn’t do nothing. And I was home by myself then I fooled around and after I got through that I moved over here. Going to the store to get a pack of coffee and I fell. Couldn’t walk, my legs had done gave. I had blood clouds (clots) in my legs and I had to have surgery on my legs and stuff. So I tell everybody I done been through hell and back but I’m making it you know. The good Lord hangin‘ on to me for some reason or another. Yeah and then one night by me going through all that good Lord popped up in front of my chest of drawers and through his arms up. He say come to me, you gonna be alright and he turned his robe into stuff you know like them beads I sew like in different colors. He say…See, you can do the same thing. Just come to me, you gonna be alright. And I wind, I went and joined the Church of St. Jude. And I been doin‘ alright ever since. What have you been doing for earning a living? I was an interior decorator as far as trade go. I was making great money but once all my health went to falling apart that take everything away from you. Yeah, it got to the point the doctor told me I can’t work no more and then my mind went to clicking cause half the things I like to do in life is expensive. As far as being an Indian, I like to wear expensive clothes see I like to be in secular organizations and I’m talking about thousands of dollars. So all that had to come to a close. And it used to pressure me a lot and sometimes it still do because I can’t do it cause I don’t have it and everybody used to tell me, It gonna be alright. It’s gonna be alright you know, but to me the life that I likes to live… I thing big. Alway have from a young kid. I like to think big. I’m not going to think on the down point low cause if you think on that level you not going to make that stride to your goal, so I have to think on the base that I’ma survive. I’ma pull this thing off. You know. And everybody know right now today I do the same thing I am going to reach my goal. I done had the first house I bought was on Franklin Ave. Then my wife saw the house for sale up there on Hope and AP Tureaud Ave. The house she liked and I put that house up for sale and got that house. Well I got that house, that’s when this house came into play and she say I want to get that house down there. So I went along with her, to please her to keep her happy, I went and bought that house. But if it were left to me, I would have stayed at the house on Hope street cause it was a great house and then after that, that’s when things went to falling apart with us, with our marriage and stuff. And I been by myself ever since. I’m about to make 62 so they about to give me my social security money and stuff. So I’ll survive and now and then I have sewing classes. I teach sewing classes over here, showing the kids how to build Indian costumes. But really my goals, I likes to… decorate houses. I like to paint, I like to do the wooden floors, I like to hang wall paper and stuff, But I can’t you know, so that’s how it is. And it be on my mind all the time so I know I can’t do it, so I just don’t worry about it. Yeah, they call me Chief back here. They say ‘You chief back here in the village, you our chief, you gonna be alright’. Yeah, sure nuff they be looking out for me. But I got it in my mind, I know, I’m bout to, all the Indians in the city now, they bout to, everybody want to be that high point so everybody jumping up in different tribes trying to making discs and stuff, you know. Yeah everybody be saying ’Well Chief, what you waitin‘ for?, say, We waitin‘ on you’. I don’t want to do know disc, all that running out to do the discing but what they don’t know, It ain’t what you do, it’s how you do it. And being in music you got to have that producer. If you don’t have somebody that can back you, that can push that disc or somebody there that can teach you your voice hold you to when you should get high when you should get low or when you should just level off. The disc might be made but anybody that know the music can tell you whether not the disc gonna make a move or not and they just up and be doing it you know, then I don’t do it. Hear Big Chief Charles Taylor and the White Cloud Hunters, singing Iko Iko, November 30, 1986. 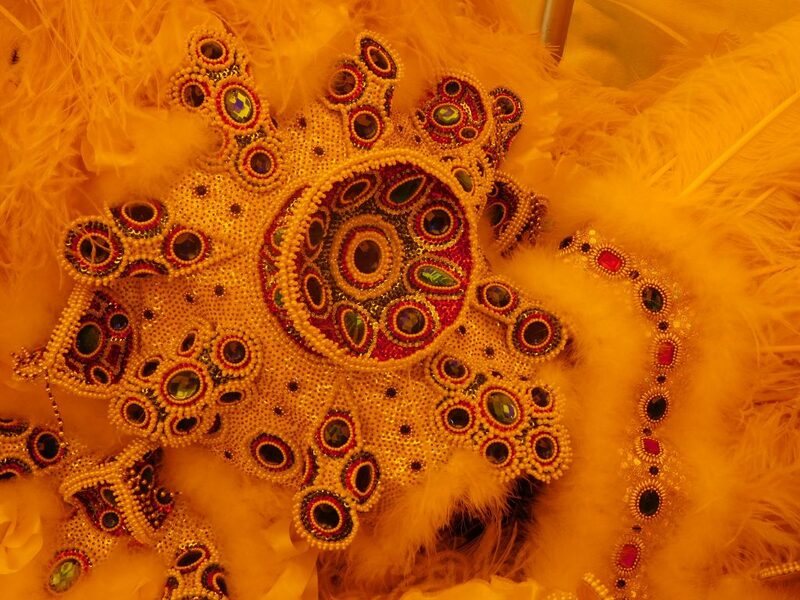 How do you explain to a stranger like me the basis of the Mardi Gras Indian culture? Well, it‘ all on you. If you want to be a part, you have to go to the person that you would like to be with and talk to them and they will sit down and tell you what the rules and regulations in they tribe. And it’s on you to accept what’s being told to you or they’ll tell you, you can go try the next person if you don’t like what’s going on in that particular tribe. And that’s just how it’s done. Cause in the city when it come down to doing this, you have all kinds of entertainers. You got Baby Dolls, you got Skeletons, you got the Dirty Dozen, you got the Wild Men’s. See everybody have they part to play, During the time when we were really coming up, people used to buy that (real tough…) outfit with jeans and the jacket and they have on the converse tennis and stuff. And everybody who’s into it, they have on they little mask on they face at Mardi Gras. I know you and stuff. But now you don’t see that. You see people walking around, some of them dressed up. But you know, it’s like you don’t feel that spirit. But when they tore down Claiborne Street and they tore down all the trees off of Claiborne Street, cause see Claiborne Street went from Orleans all the way down to Elysian Fields, it wasn’t nothing but trees. They didn’t have no I-10 bridge and all that. And for Carnival, that was the ideal place, Claiborne Street. Cause of all the trees. People got the picnic tables, the children out there, the Indians, the skeletons jumping from behind trees, they scare you half to deaf. But it was a lot of fun. And I think then, it took a lot out you know, when they did that they took a big part of the strength of Carnival out and how they was talking one time bout tearing the street and the interstate back down, but you can’t never bring back what cha done lost. It’ll never be the same. Were you there for the first Mardi Gras after Katrina? Yeah. The last outfit I made after Katrina was Burnt Orange, uuhhmm, 2008. I just tore that costume down. Just tore it down. I say I’ma bring it back to the street cause cause it made it through the storm. And then it’s made of rhinestones and pearls so there ain’t gonna be no damage done to it, all that need to be done is to be tore down and take some windex and stuff and clean off them stones so they can reshine like they brand new and put it back together. But I’ma put it back together different from what it was when I first put it together and you’ll be looking at a new outfit instead of the way it was made the first time. And then I’m in the process of making a brand new out fit. Every year I make a brand new one and see, they used to take, you used to apply for grants from the Federal government uh, the Jazz Festival and stuff like that. But the guys had done gotten to the point they say they gonna mask and they apply for that money and then the costume you see ‘em they don’t be no mask Indian. So it make it bad for the next man to get that grant so the Jazz Festival stopped giving the grants so and the economy is bad right now so that make Baton Rouge not giving out no more grants, so if you got to come out your pocket, so if you like to go out and all that, all that has got to come to a complete stop. Either you gonna go hang out and take the money you got and throw it out in the street and go hang out or you gonna lay dead to build that costume. So it be on you. I got a house full of Indian Suits. If you walk in my house, from the living room all the back to the kitchen you see the Indian suits standing up in my house cause I don’t destroy them. I keep them so if I go to perform I can (sell) like any one I want. But them guys, some of them guys, they hold on to one costume, so they can go if a show come up, they can go. But a lot of people call me to do shows, and I be turning them down, telling ‘em I don’t want to go. To me, it take a lot away from it. You know like constantly doing it. It’s no fun and it takes a lot away from it you know and I just don’t do it (and yeah) the money be there, and in my case the money not gonna be proper to me cause if you call me to come to perform my culture, you calling me and you gonna offer me a thousand or fifteen hundred dollars or whatever and here I got eight or nine other people I got to split this money with. Well, we ain’t made no money. And then you got to travel with the suit, the person they got them trucks, they need gas, you got to see that they get gas, you ain’t giving me no money. And if you working somewhere and you gone for a week, them people ain’t getting paid if the take off they job. So they taking a loss. So you not paying the advance to cover that. So I don’t go. And when I take a show, I’m tellin‘ you just what it is. If you can’t give each man you know, three four thousand dollars (clap, slap on lap) we ain’t coming. We ain’t coming cause I feel it ain’t worth it cause they losin‘. And people got bills and they got children to take care of. And then every time you take that suit somewhere you got to come back and you gotta work on that suit to put it back in good shape so it’s a lot to look at you know, and them guys that do it today they want to out do the next man so if I tell you I’m gonna take a gig and tell you we’ll do it for ten grand, that way I can divide that money so everybody can see that they actually made some money and they can cover they bills. This man will come along and say ’Oh we’ll do it for three’, so that make you wanna eliminate me and you gonna take him cause you gonna be saving eight grand. Yep, so that’s why I don’t you know so if you, if you, if you gettin‘ ready to go somewhere to do a performance away from home, you best off not to say nothing. Cause if the next person hear it, they gonna try and get with the people that’s trying to get you, and they gonna be wanting to ask them well what he chargin y’all to come. Well, we’ll go for twenty-five hundred – so that’s gonna make them call me and say well there’s a change in plans and ( they holding the same token) cause they done went behind your back make it different. You know the Indian thing is a thing it’s a low down thing and you just have to play your role as everything has be quiet cause if you exposed they gonna beat you out. They gonna get behind you. 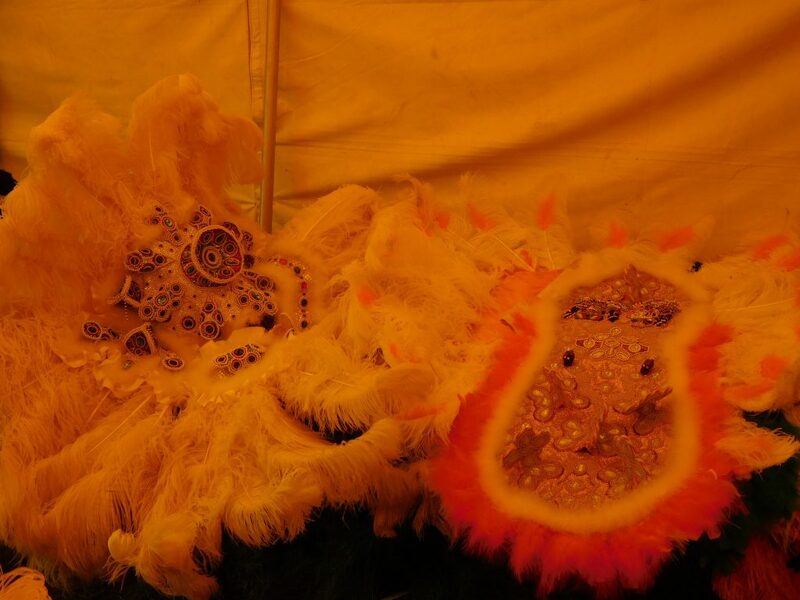 How has Mardi Gras Indian culture changed since you began to masking Indian? If you was to come here on Carnival day, you watch em round the city, ride around the city, look at different Indian tribes. You don’t see nobody dancing and screamin‘ and jumpin‘ like they supposed to and hollerin‘ their position or. The man wit that flag, winding that flag up and shootin‘ that signal and lookin‘ back there at chief, lookin‘ for that stick to see if that stick say go left or right or straight ahead. You don’t see none of that. If you don’t turn around and look you wouldn’t even know you got an Indian back there. But when I was out there running and playing Indian, you heard Indians early in the morning at 5 o’clock. You heard that sound and you look out the do‘ you hear it and you think it’s right dere and it might be a long ways from you but by it being quiet. That voice travel that echo come up and it travel and that used to be the fun part to find that Indian. Where he at. When you see an Indian now on Carnival day you catch some of them might be out at 9 o’clock. You catch some of em wind up on the street after 12 o’clock well Carnival’s almost over so you ain’t havin‘ no fun. Why isn’t that so anymore? Well they young. They not going you know they not goin‘ do what we did that what I was tellin‘ my son, I gonna try and pull off an old stunt for Carnival coming, they be on the street at five. And make that sound. You know the spirit of Indian it’s on you. See Indian spirit is a spirit. It’s a very strong spirit. And if it’s within you, if you not really strong with it and you not really in it you not goin‘ surface like that. 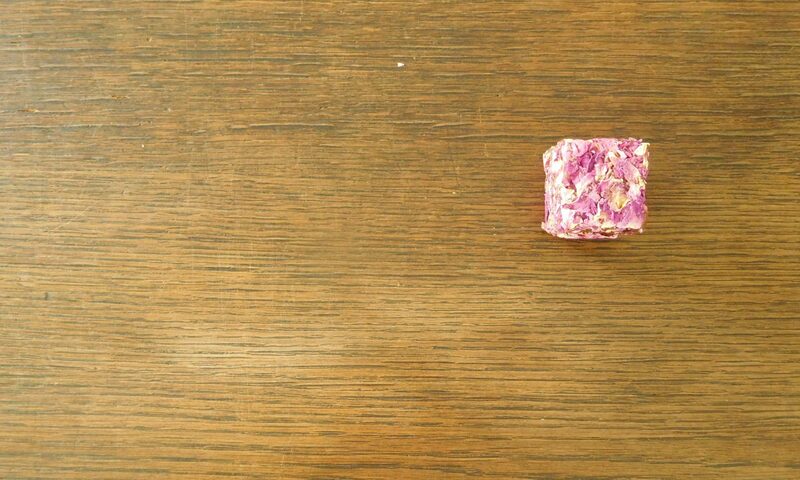 But you know I’ma die hard I’ma die hard you know, I sit there drink coffee, eat toast bread 24 for 7 long as those beads and stuff dere and I know that time coming, I be all off in it I be all overjoyed jumpin‘ up and down and carrying on. How much does your costume weigh? It all depend on you. I build three dimension. I keep my weight at 115 or 110, all my life. I get on the scale with that Indian suit on I’m 240, 260, stuff like that. It get heavy once you put it all together. But see the whole object of it though, can you move in it. See, you have a part to play so can you move in it. And a lot them guys buildin‘ them costumes they have all that stuff on and they can’t play they parts in it, they only can walk like a zombie or something and today they don’t be worried bout none of that all they want to do is the nearest cambra [camera] they after them cambras and stuff like that. Yeah when we was maskin‘ Indian and I was runnin‘ flag boy and stuff like that, people wit them cambras and them women wasn‘t giving you a second thought. If you standin dere and we comin through dere. I run clean over you, knock ya down and keep going. Cause the street is open for me cause I’m playin a part. And it’s on you to give that particular opening to that street. But it ain’t like that no more, they just take pictures…try and get all the women they can get, and they looking at that costume. Them women looking at that costume, she think she want you, but she don’t want you, she want that costume. Hear Big Chief Charles Taylor and the White Cloud Hunters, singing Golden Crown, January 5, 1986.